Putting you in a fit state of mind. We have a number of different classes and options to meet your fitness needs. Our coaches are here to help you meet your fitness goals. Welcome to CrossFit Free State! Are you ready to lose weight, get stronger, and be in the best shape of your life? Come join us at CrossFit Free State for the best workout in Topeka. 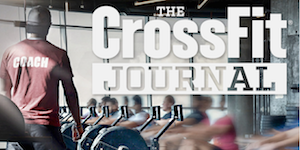 Whether your new to CrossFit or a seasoned athlete we have the prefect workout for you. Getting a workout in is as simple as showing up. Everyday the workouts are setup for you and led by a coach who will lead you through the program from warm-up to cool-down. Our coaches are highly educated, experienced, and passionate about bringing out your best in every workout and working with you on developing the skills to make you a better athlete. At CrossFit Free State you can always expect our best on helping you to be your best. Come in and see what CrossFit Free State is all about. Traveling and want to drop-in to a class?